This wooden tray will not only carry some cups of beverages, but a trail of royalnes and heritage. The very appearance of this product depicts Read More..a by gone era. The edges of this wooden tray is slightly raised with handles on both the rear ends. 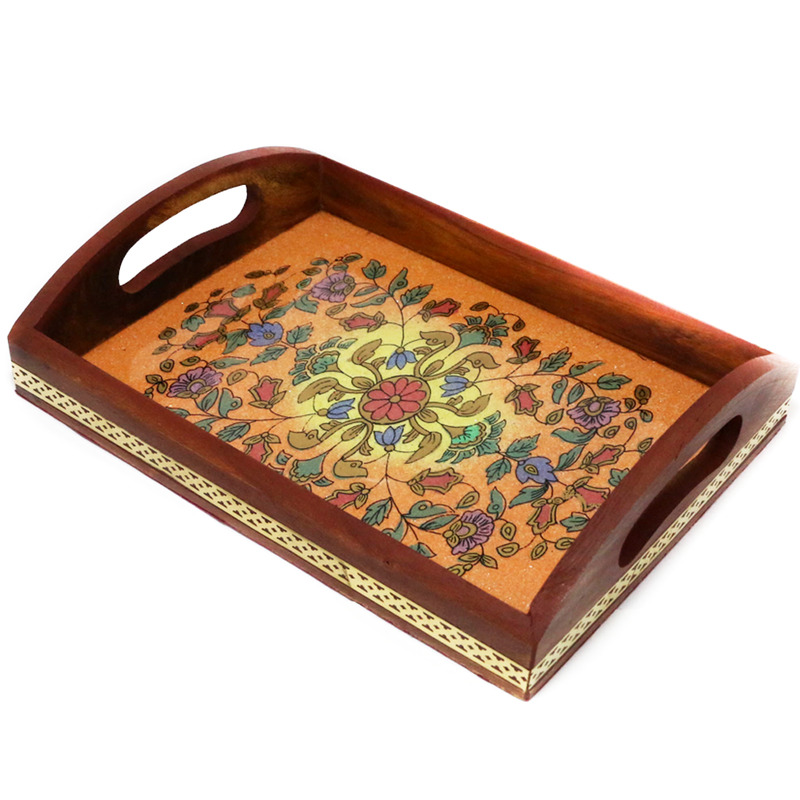 The tray has a lot of scenic designs carved on the inside. Show Less..